We need your help! Click the button below to read all about it! The Woodlands Concert Band is sponsoring our second annual Soloist Competition. Eligible high school students are encouraged to apply for a chance to win a $1,000 cash award. Please click the graphic below for more information. 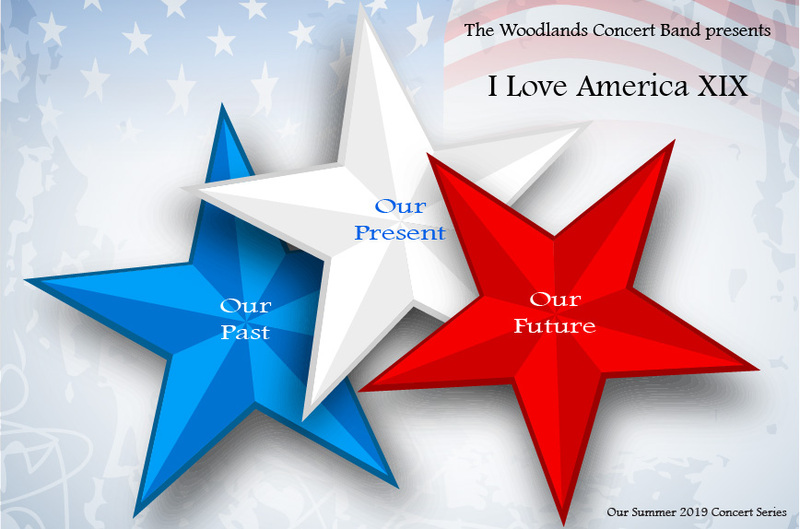 Join the Woodlands Concert Band as we celebrate our country's birthday. We present "Our Past, Our Present, and Our future to recognizize our veterans. Additioinally, we will be highlighting our Concerto Competition Winners. Admission is free! The Woodlands Concert Band is an adult community organization that allows musicians, and from all walks of life an opportunity to play and perform with a quality group. It is the only community band in Montgomery County, and members come from all over South Montgomery and North Harris counties with a few even traveling from as far away as Huntsville. We perform several times throughout the year. Please visit our PERFORMANCES page for the most recent updates to our schedule. As always, most concerts are FREE to the public. For those interested in playing with the band, we rehearse every Thursday night from 7:00 pm to 9:00 pm at Christ Church United Methodist in the Woodlands, 6363 Research Forest Dr. The band has experienced unprecedented growth in the past several years, so there are currently waiting lists for many of the sections. Please contact the section leader for your instrument, by visiting our CONTACT US page, for the most current membership status for your instrument.